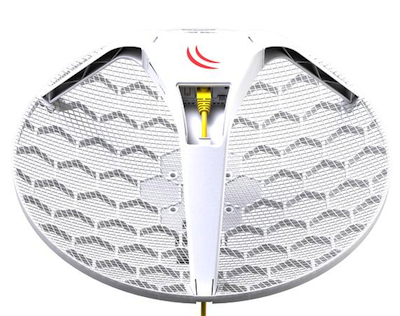 The Light Head Grid (LHG) is a compact and light 5GHz 802.11 a/n/ac wireless device with an integrated dual polarization 27 dBi grid antenna at a revolutionary price. 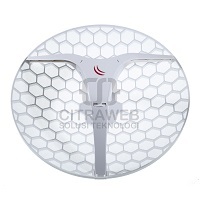 It is perfect for point to point links or for use as a CPE at longer distances and supports Nv2 TDMA protocol. 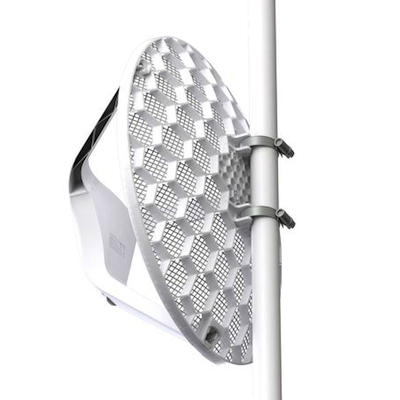 The grid design ensures protection against wind, and the fact that the antenna element is built into the wireless unit means no loss on cables.